I took the hexacopter out for a video mission today. 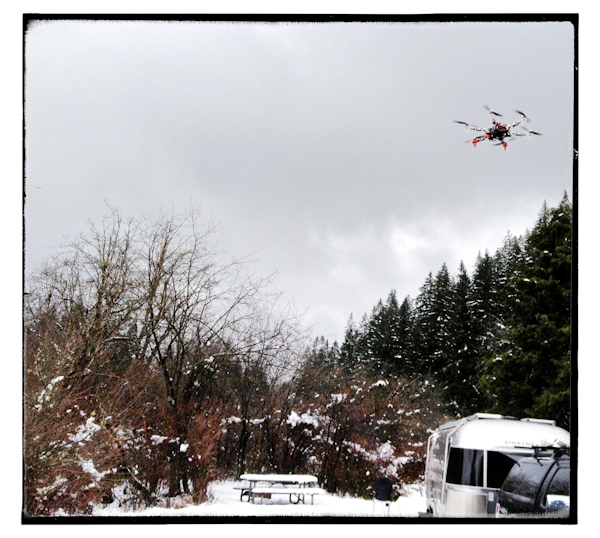 I flew it around the sides of Silver Falls State Park Campground. Laura took a couple of photos of it in flight, and I also posted the video of the aerial tour of the campground area below. I am gradually getting the hexacopter setup tuned to make better video – adjusting the flight computer settings, getting rid of vibrations, stabilizing the images, messing with the camera mount. It's getting better each time. The next step is to mount a video transmitter on the hexacopter so I can fly it by watching the video signal on the ground (using video goggles, which are the propeller beanies of the new generation. I'm gonna look SO stylish!) That kind of flying is called "First Person View" or "FPV". Apparently it's difficult to set up and to master flying that way. 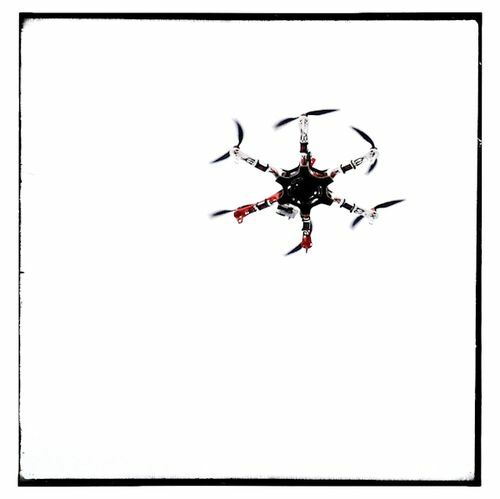 I'll report back – or I'll post pictures of a crashed hexacopter, or I'll tell stories of how it flew away into the sunset never to be seen again. Then, after FPV is working, I plan to install a stabilized video camera gimbal underneath. That should significantly improve the quality of the video and photos we can take with this thing.